Every year, it seems, the Memorial Cup format comes under fire once the tournament has concluded.When the host team wins, which is what happened on Sunday when the Windsor Spitfires did just that, well, the flames seem to be just a little bit hotter. 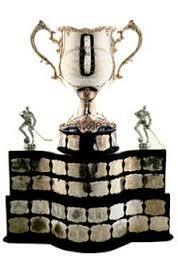 But, really, is there a better way to decide a Memorial Cup champion than under the present format?Ideally, it would be decided the way it was back in the day — with the eastern and western champions meeting in a best-of-seven series.There also was a time (1972-82) when the Memorial Cup was decided in a three-team format without a host team. How do you think the 2017 event would have been received had it featured the Erie Otters, Saint John Sea Dogs and Seattle Thunderbirds in Windsor?Having a host team allows an organizing committee to turn the tournament into a 10-day festival of sorts. Knowing where the tournament will be well in advance also means fans are able to book vacations and make plans to attend.The one thing the 2017 tournament did was provide more evidence that junior hockey has lost its way to a certain degree. When it comes to ticket pricing, junior hockey needs to realize that it’s just that — junior hockey. Even with the Spitfires playing well and going 3-0 in the round-robin, the only game in Windsor that sold out was the final one.It will be interesting to see how the Regina organizing committee and the CHL price tickets for the 2018 tournament in the Brandt Centre, which has a capacity of 6,484.As we prepare for Regina, maybe the thing to do is come to the realization that the Memorial Cup doesn’t mean what it once did. Winning a league championship in the OHL, QMJHL or WHL is what it’s all about; winning a Memorial Cup is gravy, but it’s not the end of the world if a team gets there and comes up short.While we’re at it, let’s take Memorial Cup week — or Memorial Cup 10 days — for what it is, a celebration of hockey, a time to enjoy being around other hockey people, fans and media (or what’s left of the media), and have a good time.Now . . . about those ticket prices. 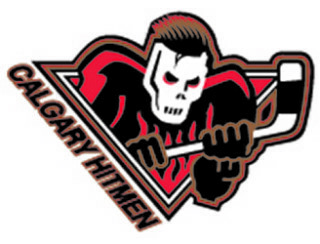 ——The Calgary Hitmen are in the market for a head coach.The Hitmen announced Sunday that Mark French, their head coach for the past three seasons, has signed on as head coach of the Fribourg-Gottéron Dragons of Switzerland’s National League A.
Rumblings about that possibility surfaced early this month with reports from Europe that French was to be interviewed by the Dragons.Under French, the Hitmen went 117-80-19, qualifying for the playoffs each season. 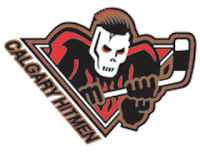 This season, Calgary was 30-32-10, grabbing the Eastern Conference’s second of two wild-card spots, before being swept by the Regina Pats in a first-round playoff series.The Hitmen had signed French to what the club said was a “multi-year extension” on June 20.French, who is from Milton, Ont., had joined the Hitmen after being head coach of Medveščak Zagreb in the KHL. He also was to have been an assistant coach with the U-18 Canadian team that will play in the Ivan Hlinka Memorial tournament in August.There now are two WHL teams without a head coach, the other being the Spokane Chiefs.Former Kelowna Rockets coach Dan Lambert, who was fired last week by the NHL’s Buffalo Sabres as head coach of their AHL affiliate, the Rochester Americans, has been rumoured to be in the mix in Spokane.The Hitmen also are looking for a general manager, having promoted Mike Moore to vice-president and alternate governor on May 15. Moore is acting as general manager until a successor is found. Moore, who has been with the Hitmen for 10 seasons, had been Calgary’s GM through the past four seasons.——If you’re a regular here, and even you aren’t, feel free to contribute to the feeding of the Drinnan family by making a donation to the cause. You are able to do so by clicking on the DONATE button and going from there.BTW, if you want to contact me with some information or just feel like commenting on something, you may email me at greggdrinnan@gmail.com.I’m also on Twitter (@gdrinnan).